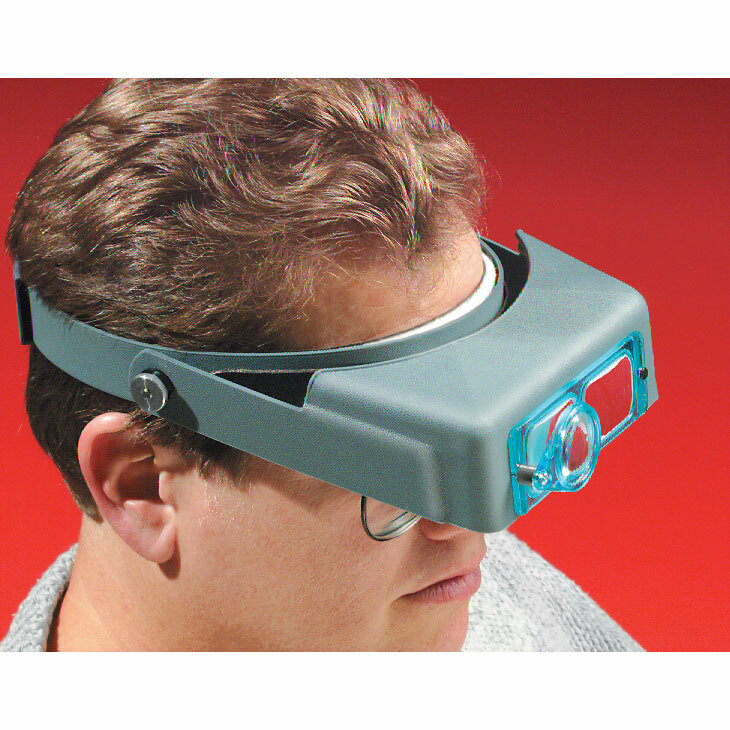 Our Optivisor Binocular Magnifier gives you 3-dimensional viewing by providing magnification for both eyes. Optical quality glass lens magnifies objects 2-1/2 times at a working distance of 8 inches. Additional interchangeable lens plates are available separately for other magnifications (see chart). Comfortable, light-weight leather headband has orthopedic felt padding and is fully adjustable to fit all head sizes. Tilts up and out of the way when not in use and can be worn over glasses. #18110 Attachment Loupe shown is optional (doubles the magnification of any lens plate) -- order separately. Is the lens optical glass or plastic? Is the lens optical glass or plastic? ****************Micro-Mark Update: Hello, it is optical glass.